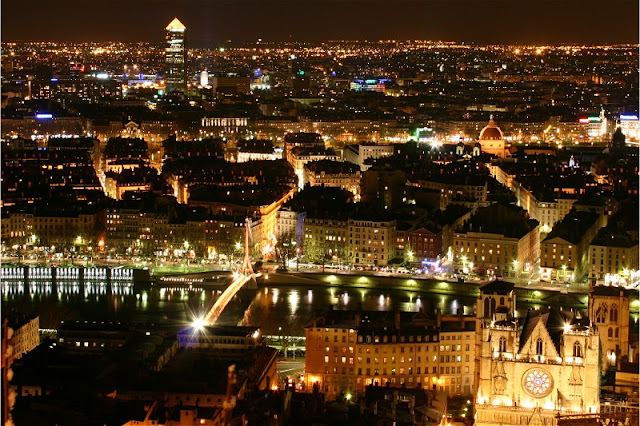 I remember about one year ago when i went to Lyon in France (10/10/12). There was a festival of the Lights in the city, and i went with my friend to visit a family that we met in Japan. In the first picture, you see an hotel, "Hôtel-Dieu". The city was full of lights and beautiful. I can't remember...i think it was a cake of dug with tomato sauce and salad. Second days, we walked around in the city in St-Etienne. It is near from Lyon. The building on the picture is a building of an architect " Le Corbusier ". He was born in Switzerland and did activities in France. He is also printing on 10 frs note in Swiss. 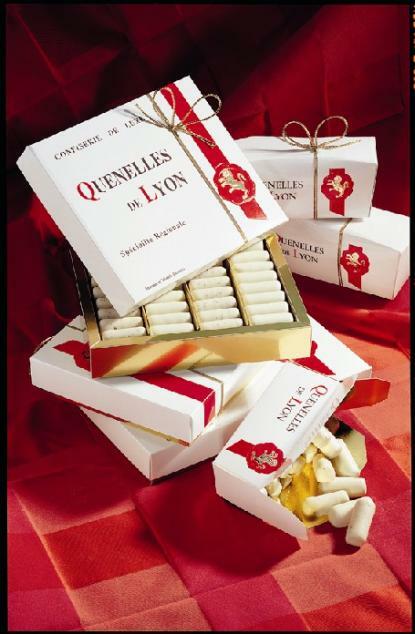 I present some specialities of Lyon. Quenelles is a mixture of creamed fish, chicken or meat. The first one is a chocolate formed of Quenelles. "There are many ways to prepare quenelles de brochet, but most recipes first prepare a panade, essentially a white sauce, then combine the panade with fish, and put the mixture through a sieve, yielding a farce. 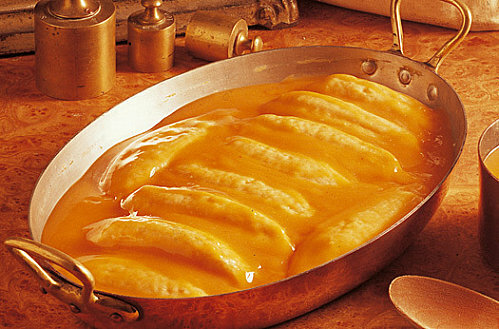 The quenelles are formed from the farce and poached. 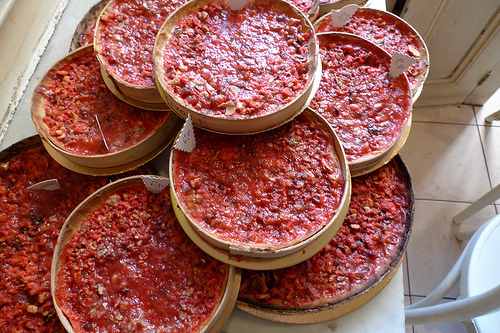 They may be served sauced and grilled, or with a variety of sauces." I bought "praliné "at the station. 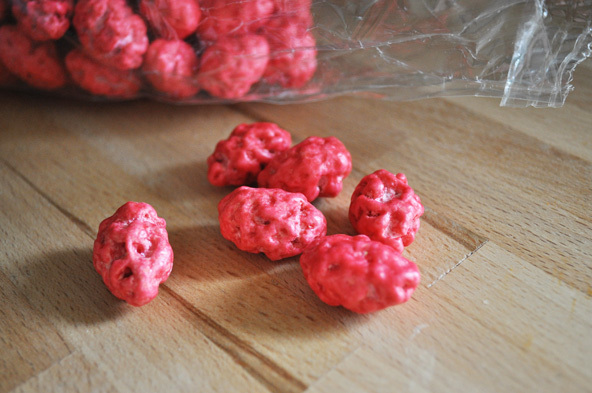 It's coating with a red sugar. I also tried a bread ( bun ) with praline. 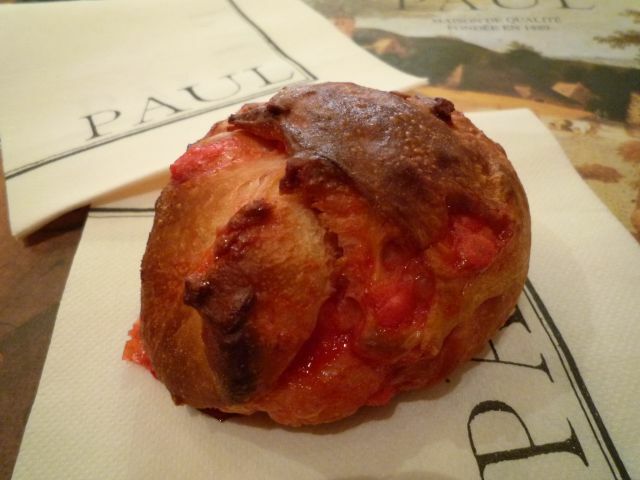 The bakery " Paul " is also in Japan. They make a real bread...! We stayed only for 2 days, so we could'nt see many places in the city. I want to visit again someday. 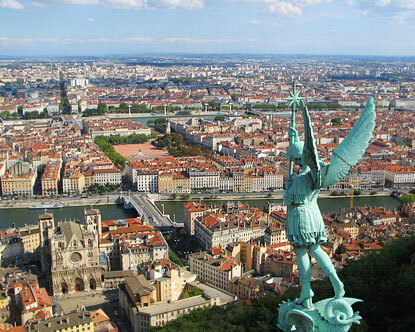 Now i think, you want to go to Lyon...!